When it comes to marketing, personalization is powerful. By leveraging the information you’ve gathered about your audience, it’s now possible to communicate with your customers with the insight of a neighborhood shopkeeper and the reach of a global brand. 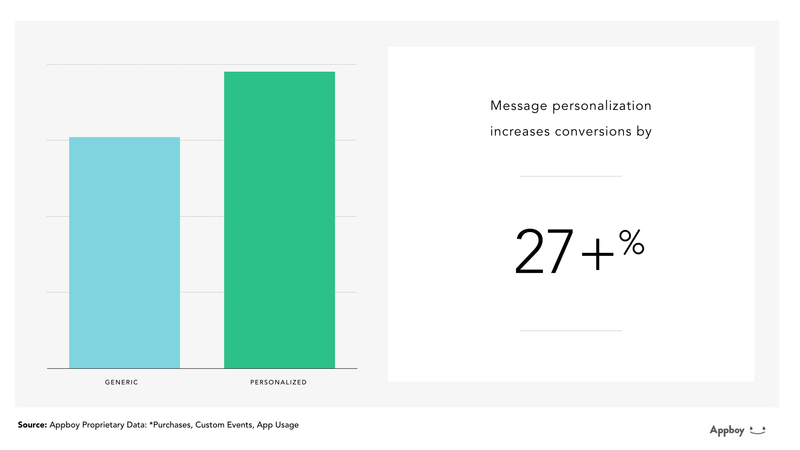 Plus, personalization makes your outreach more effective – personalized messages increase related conversions by more than 27%, compared to other messages. Personalization needs customer data to work – if you don’t know a customer’s name, you can’t include it in a message. To do personalization right, it’s essential that you make sure that your customer profiles are automatically gathering both useful general information (name, gender, location, etc.) and specific data that’s relevant to the messages you send. So before you start personalizing your campaigns, look at the messages you’ve sent in the past, think about what elements could have been improved with personalized content and make sure that you’re gathering customer data to fill in those gaps. Personalization isn’t a magic bullet. If you’re adding personalized content to a message that doesn’t help to reinforce the call to action or demonstrate your brand’s value, that’s only going to distract the recipient and reduce the chances that they convert. Be clear about the purpose of every message and make sure that the personalized content you add supports that goal. For too many marketers, personalizing messages begins and ends with the inclusion of customer names. That’s fine as far as it goes – but there are other personalization features that they’re missing out on. Personalization makes it possible to include relevant personal information (shoe size, customer loyalty program membership status) and location-based dynamic content (like nearby movie screenings starring a customer’s favorite actor). 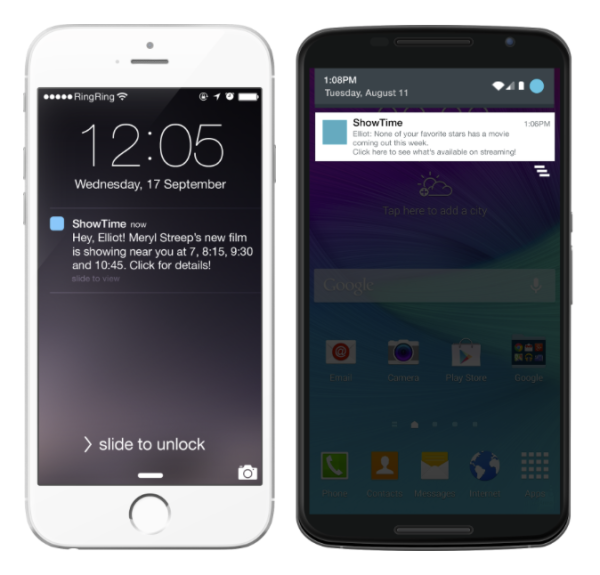 You can even personalize message delivery time by using a send-time optimization tool like Appboy’s Intelligent Delivery to ensure that each customer receives it during the time range when they’re most likely to engage. Used correctly, personalization should pay major dividends for your marketing efforts. But if it isn’t, you need to know! Personalization is powerful, but it can’t reach its full potential if you’re using it ineffectively or if your marketing outreach has other serious issues. Monitor every campaign, especially when you’re trying something new and don’t be afraid to use multivariate testing to ensure that campaigns are as effective as possible before sending them to your full customer base. Personalization is an important tool, but it’s not the only one. Check out Appboy CRO Myles Kleeger’s piece on data-driven marketing for more on how to make the most of your customer outreach.